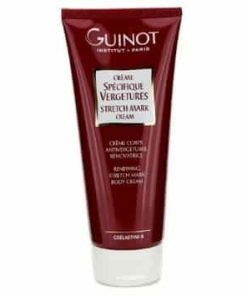 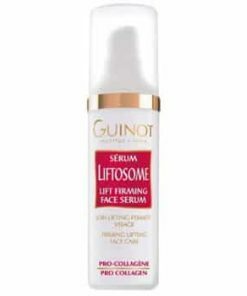 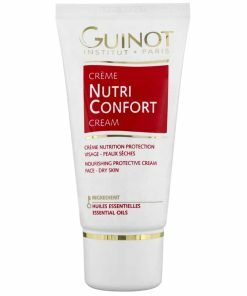 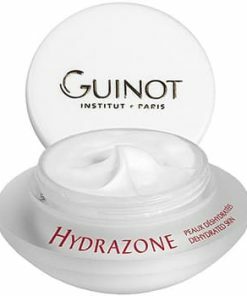 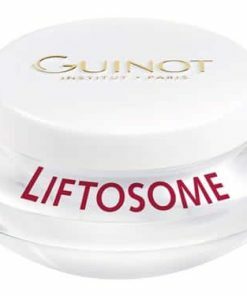 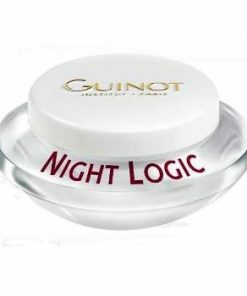 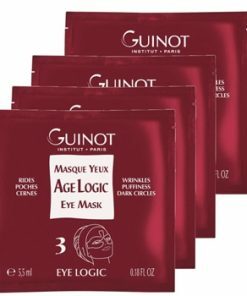 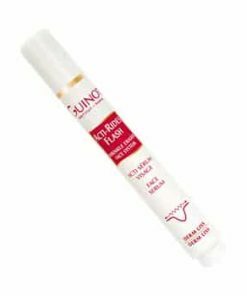 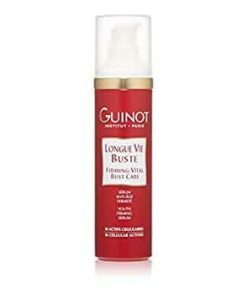 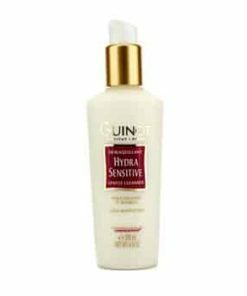 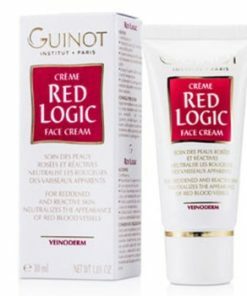 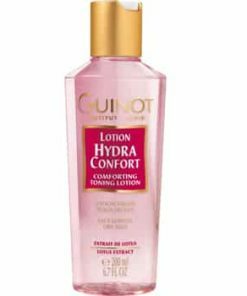 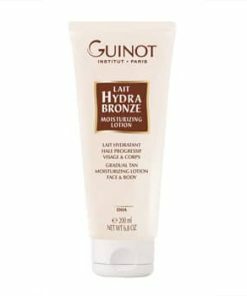 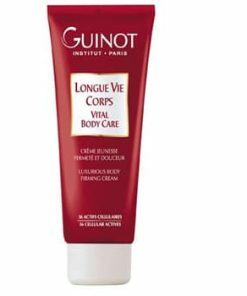 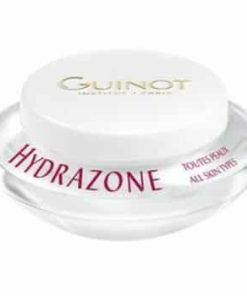 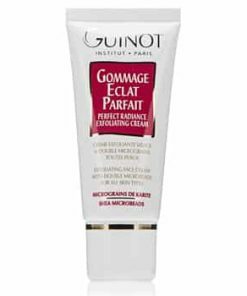 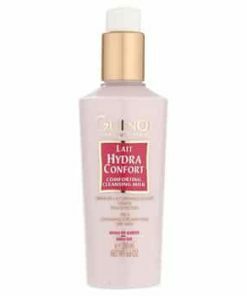 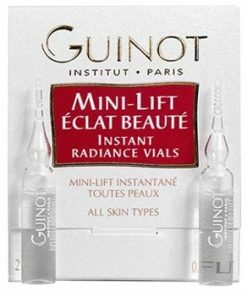 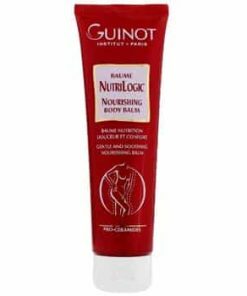 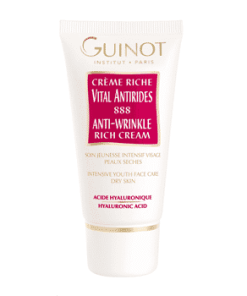 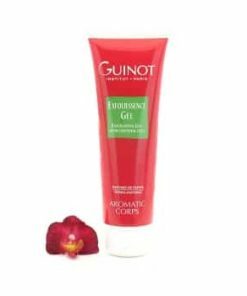 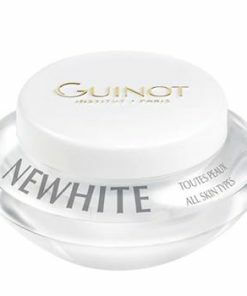 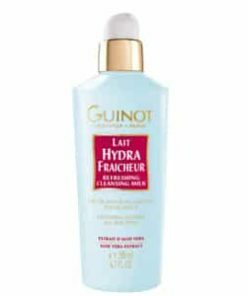 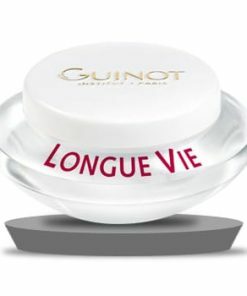 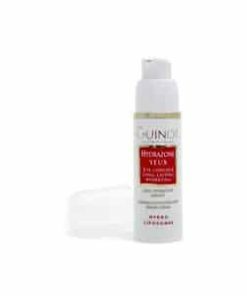 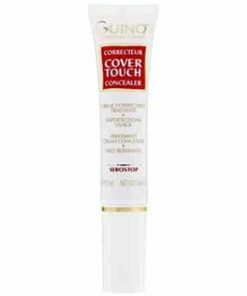 Guinot Hydra Sensitive Facial Cream shields sensitive skin against harsh environmental conditions while soothing and calming feelings of irritation. 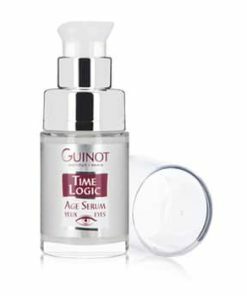 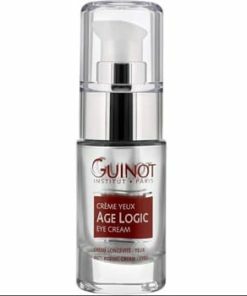 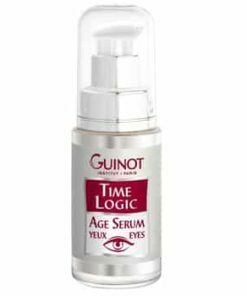 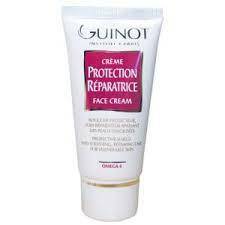 It reinforces and supports the skin’s natural defenses, allowing it to maintain a calm and comfortable existence. 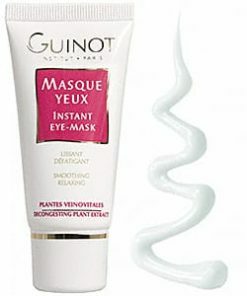 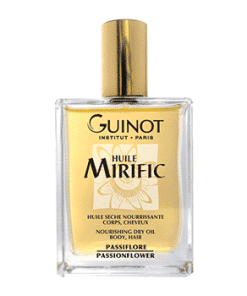 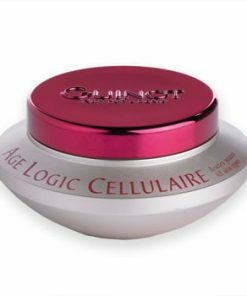 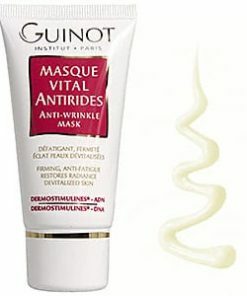 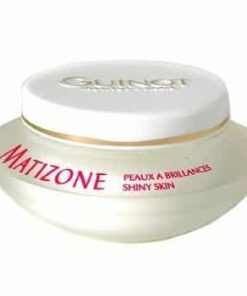 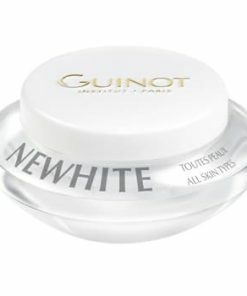 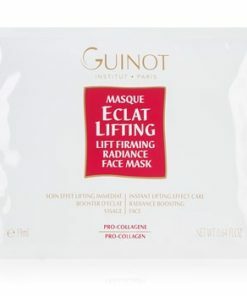 It also moisturizes and softens for enhanced suppleness and radiance. 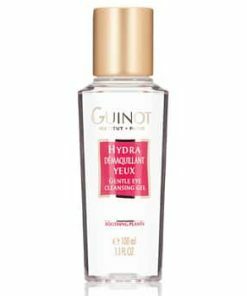 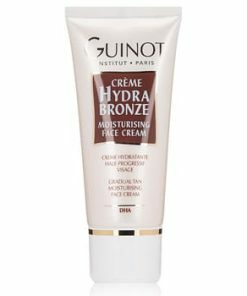 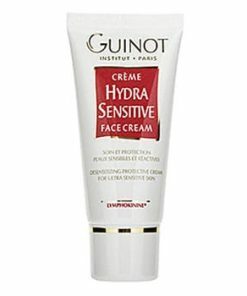 Guinot Hydra Sensitive Face Cream is a protective cream that shields sensitive skin against harsh environmental conditions while soothing and calming feeling of irritation. 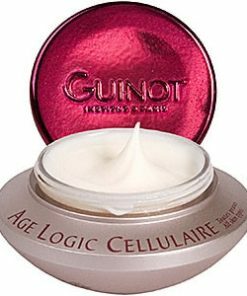 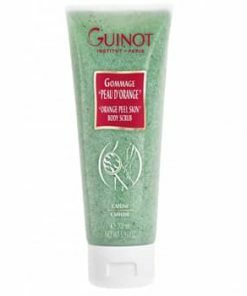 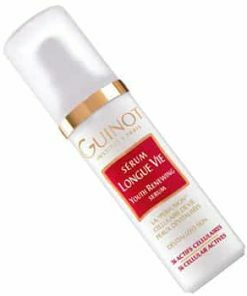 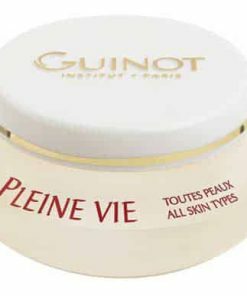 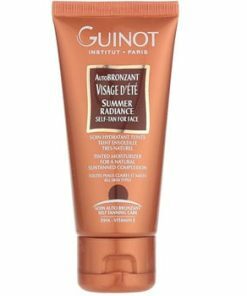 Guinot Hydra Sensitive Face Cream supports the skin’s natural defense, moisturizes, and soothes skin for a softer appearance. 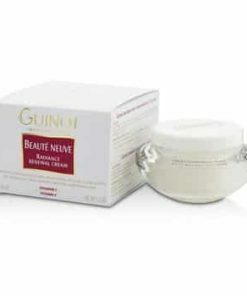 • Reinforces the skin’s natural defense. 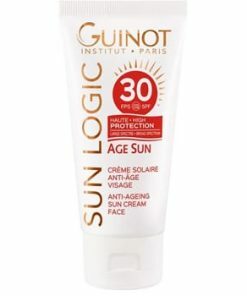 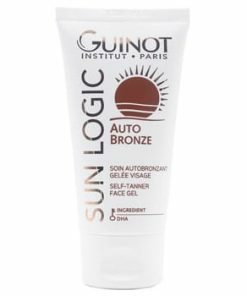 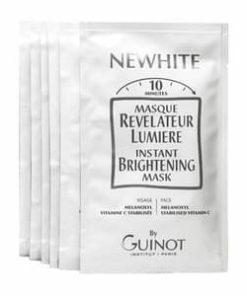 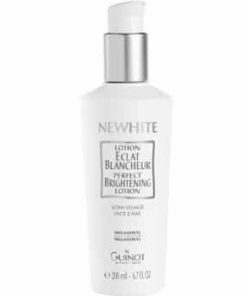 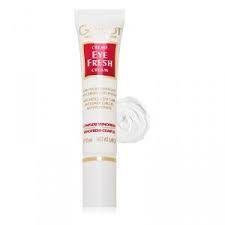 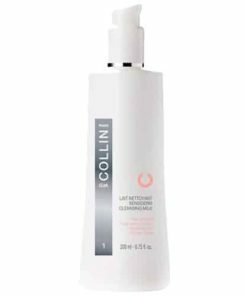 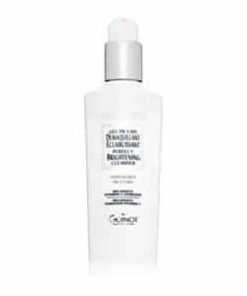 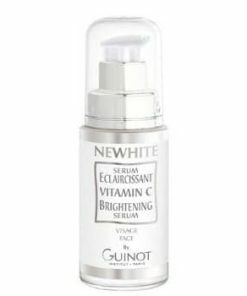 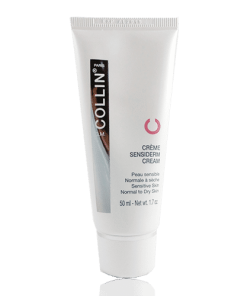 • Protects reactive skin from harsh environmental conditions. 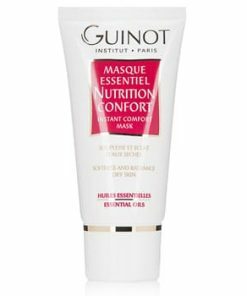 • Supports the skin’s natural defense. 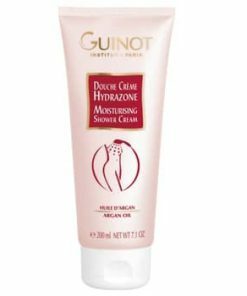 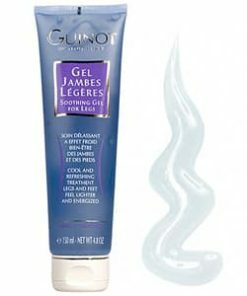 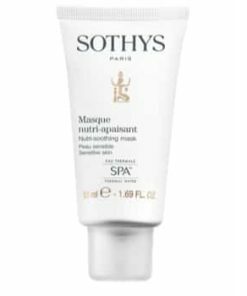 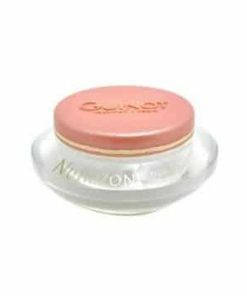 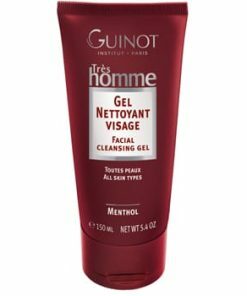 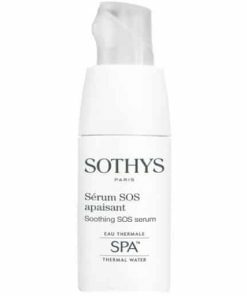 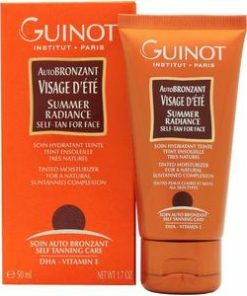 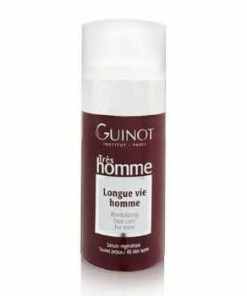 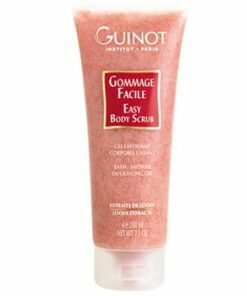 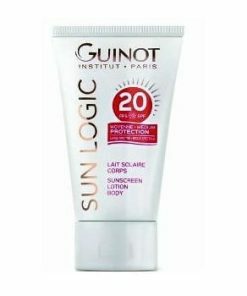 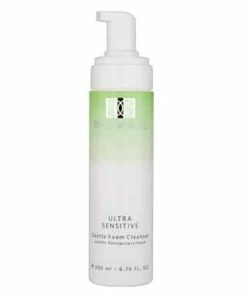 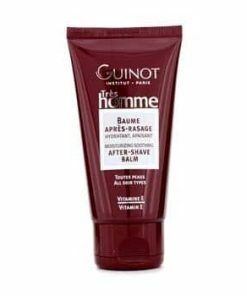 • Moisturizes and soothes the skin for a softer feel. 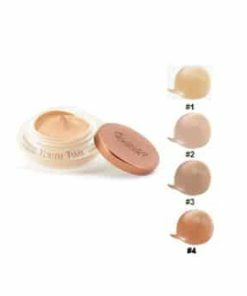 • Morning and evening dab onto chin, cheeks, and forehead. 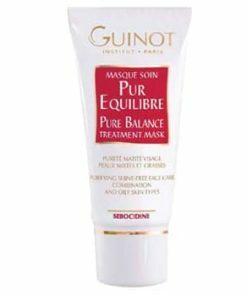 • Then lightly massage in circular movements upward from chin to forehead until completely absorbed. 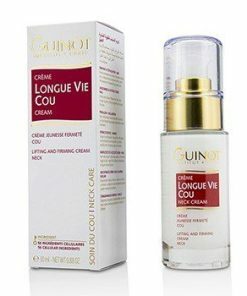 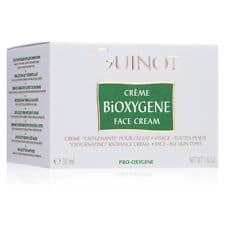 • Use as regular skin care treatment. 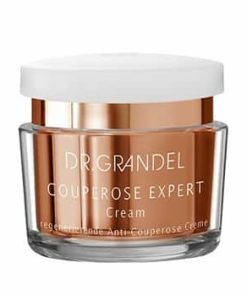 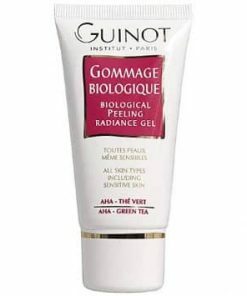 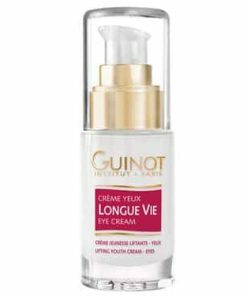 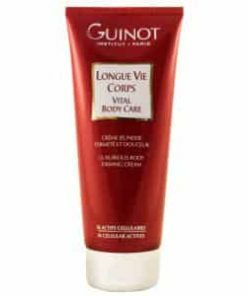 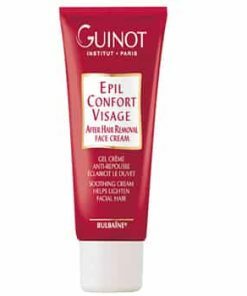 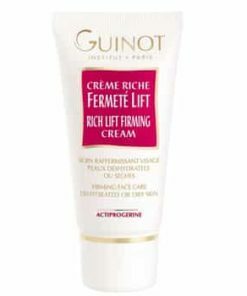 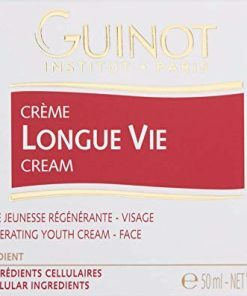 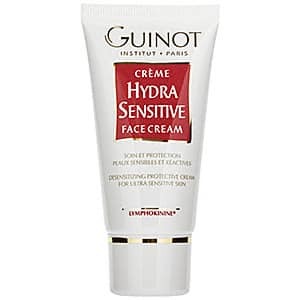 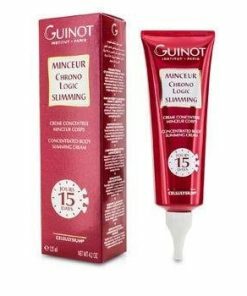 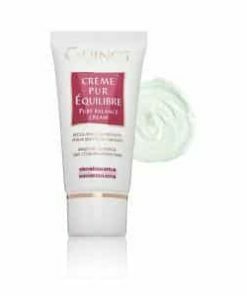 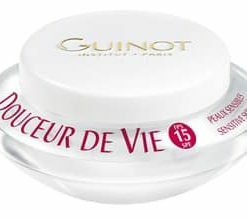 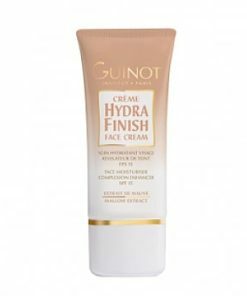 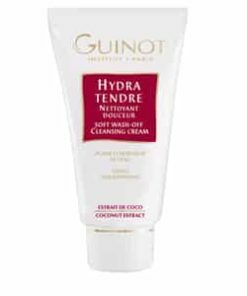 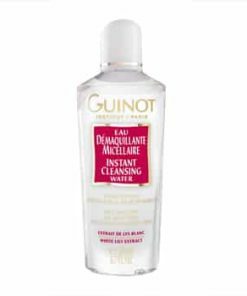 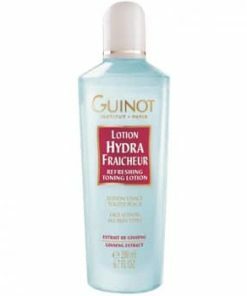 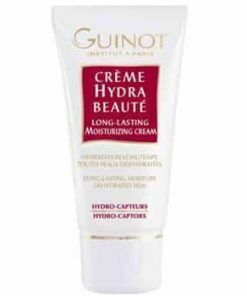 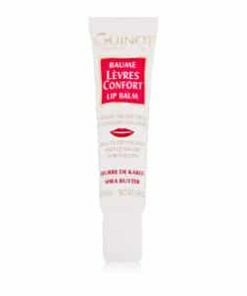 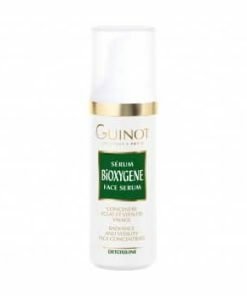 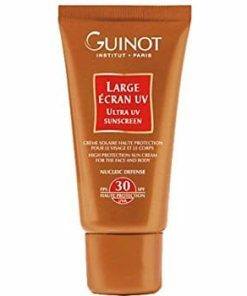 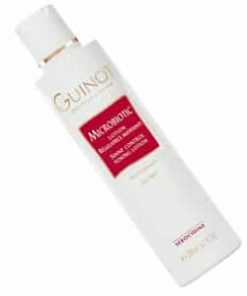 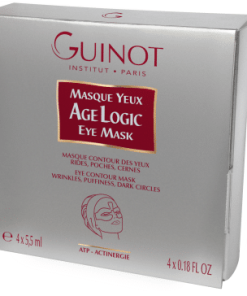 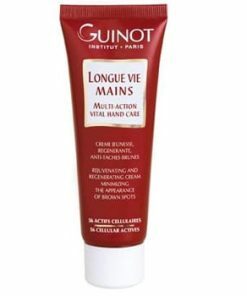 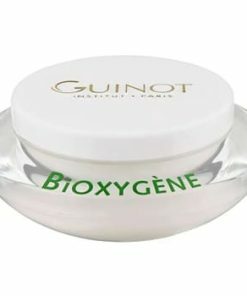 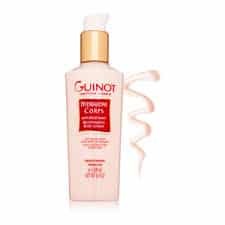 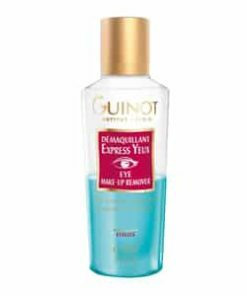 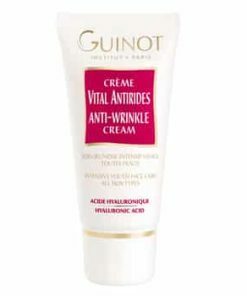 Guinot Hydra Sensitive Face Cream contains: Water (Aqua), Butylene Glycol, Cetearyl Ethylhexanoate, Glycerin, PPG-15 Stearyl Ether, Gossypium Herbaceum (Cotton) Seed Oil, Stearic Acid, Cetyl Palmitate, Corn Starch Modified, Cetyl Alcohol, Glyceryl Stearate, PEG-100 Stearate, Bis-Diglyceryl Polyacyladipate-2, Potassium Cetyl Phosphate, Zea Mays (Corn) Oil, Dimethicone, Ethylhexylglycerin, Triethanolamine, Alcohol Denat., Quercus Robur Root Extract, Titanium Dioxide, Bisabolol, Carbomer, Fragrance (Parfum), Tocopheryl Acetate, Palmitoyl Proline, PEG-6 Stearate, Hydrogenated Polyisobutene, Xanthan Gum, PEG-6 Oleate, Chlorhexidine Digluconate, Trisodium EDTA, Magnesium Palmitoyl Glutamate, Sodium Palmitoyl Sarcosinate, Hydrogenated Castor Oil Hydroxystearate, PPG-5-Ceteth-10 Phosphate, Trimethoxycaprylylsilane, Linalool, Butylphenyl Methylpropional, Geraniol, Limonene.